Peacebuilding addressing civil unrest has to start at local level. The social fabric of society cannot be rebuilt by any government or military power, only by those concerned on the ground. We are focusing on those areas where tensions or open violence has jeopardised the peaceful coexistence of different communities and groups. Peacebuilding is a moral challenge. The corruption of society through war and violence can only be tackled by its own moral forces. They have to strike the balance between justice and peace, between truth and mercy. We are including those who enjoy moral authority in their community: religious leaders and other representatives of civil society. Peacebuilding relies on mutual trust. Trust, in return, grows with deeds more than with words. We are uniting moral authorities around a tangible cause: the future of the youth in need. They are invited to form a local Steering Committee for the establishment of a Peace Centre: a house serving as open space for young people of different communities. In our Peace Centres, experienced teachers, psychologists and social workers will offer individual and social activities, skill training, courses and material support. Building peace is hence the overarching objective governing our work, which is supported by three pillars of our daily activities: psychosocial support, educational support and humanitarian aid. 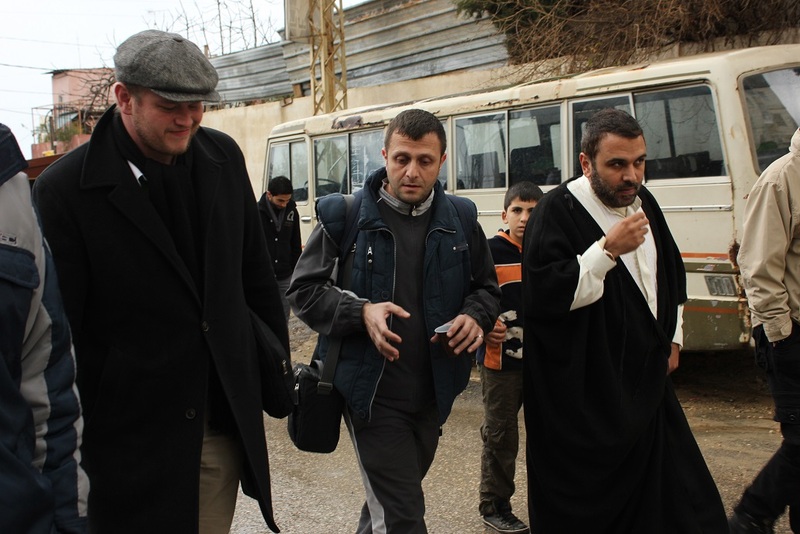 Religion matters in Syrian politics, both in terms of identity and ethics. Addressing the Sunni-Shi’a need for reconciliation will also be decisive for the future of Christians and other minorities. In this regard, the steering committees of our Peace Centres will be composed by relevant moral authorities, reflecting the various structures of Syria’s civil society. Amongst them, religious leaders of different confessions will play a major role. All activities will be decided in co-decision between us and the local Steering Committee. We underline our impartiality in the delivery of services to those in need. Our aid is impartial and not based on nationality, race, religion, or political affiliation; it is based on need alone. Neutrality does not imply ignorance or indifference. We will stay neutral in the attempt to facilitate dialogue, but we will not shy away from denouncing violations of fundamental human rights. 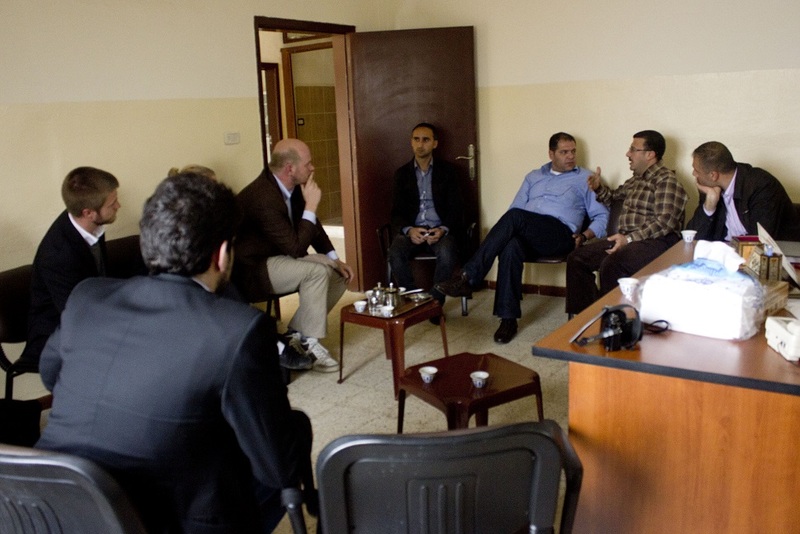 Our first Peace Centre opened in the beginning of July 2013 in the Northern border region of Lebanon. Preparations are under way for the opening of a second Peace Centre in the Eastern border region. We want to operate inside Syria as soon as access becomes possible, but the Peace Centres in the Lebanese border regions are not supposed to be limited in time. Please read more on the following pages about the estalishment of our first Peace Centre and about our programme lines for practical help. Until now, our work is relying on individual donations alone. Please help us to continue what we have started! Please click here to make a donation! 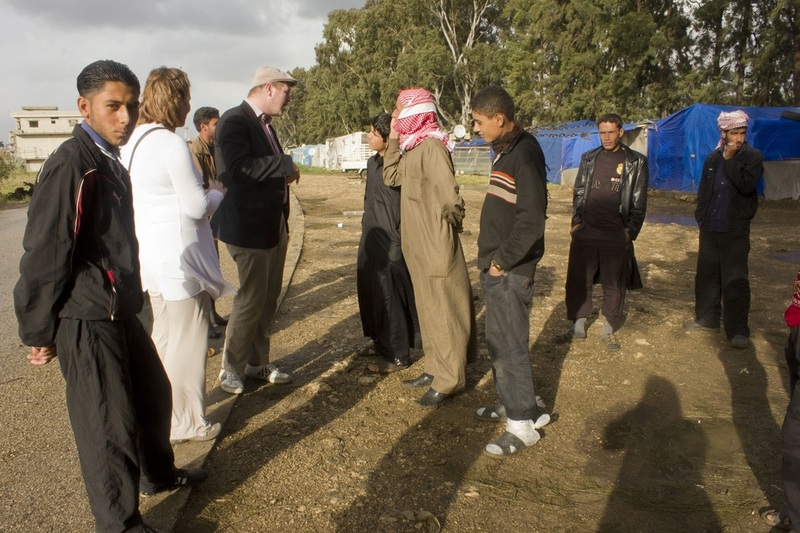 Meeting with Syrian refugees in an informal camp in Akkar, close to the Syrian border.